European foreign ministers will discuss Monday easing the tough sanctions on Zimbabwe, after President Robert Mugabe announced this weekend that March 16 would be the date for a referendum on a new constitution. According to AfricaReview, restrictions expire on Wednesday and a decision over easing them has been delayed because of a crucial disagreement between Britain and Belgium. The countries hold different views over lifting a ban on gold and diamonds mined in the African country, with Belgium — home to the world's largest diamond trading centre — insisting the state-run Zimbabwe Mining Development Corporation (ZMDC), a major diamond and gold mining company, should be taken off the sanctions list. Should the parties fail to reach consensus on the topic, the EU's current restrictions against Zimbabwe, targeting 112 individuals including Mugabe and 11 companies, will expire this week. 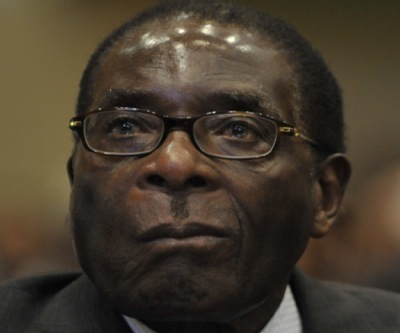 Mugabe has claimed the sanctions only affect ordinary people, while the EU says the embargo is targeted at individuals responsible for human rights violations. The United States, Canada, Australia and New Zealand also have their own-targeted measures against the African leader and his inner circle.